OPEN HOUSE 1:00-3:00 PM SUNDAY January 27th. Absolutely GORGEOUS one level home that has been completely renovated and situated on a 0.71 acre lot! This gem is simply spectacular! Incredible curb appeal with newly landscaped yard and rocking chair covered front porch (apoxy flooring). Enter through the newer front door into this awesome, open floorplan and notice the fresh, neutral gray paint throughout. New flooring (2018) in whole house. Huge greatroom with trey ceiling. Newer laminate flooring in greatroom, kitchen, breakfast area and halls. A wonderful kitchen that boasts, all new appliances (2018) to include a smart smooth top stove and other whirlpool stainless appliances. Kitchen also has newer subway tile backsplash and granite countertops. Large laundry room off the kitchen wit newer tile flooring. Big Master on Main with newer carpet and a fabulous master bath with granite, tiled flooring, tiled shower and walk-in closet. Two other generous sized bedrooms. The large hall bath has granite countertops and tile flooring. Check out the phenomenal outdoors! Huge, brand new deck that has been recently stained. Check out the swing area, firepit area and huge backyard with a nice mixture of grass and woods. Don&apos;t miss the storage under the deck and walk-in crawlspace access! 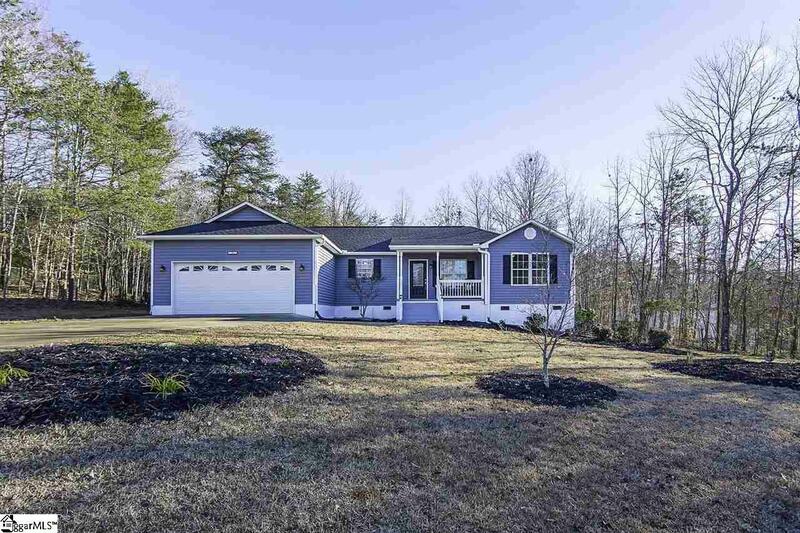 Easy access to Highway 25 and downtown Travelers Rest. The secret is out that Travelers Rest is the place to be! Revamped downtown, lots of restaurants & shops and the world class Swamp Rabbit Trail! Come see this home TODAY before you miss out!